Alexandria Criminal Court ordered the release of the two Alexandrian students who were held for conducting a public survey on a concrete wall that was recently erected in Sidi Gaber area. The verdict means that the court rejected prosecutor’s appeal on their release, issued on Thursday. Sohaila Mahmoud and Khadiga Bahaa El-Deen will be released on a EGP 10,000 bail after three months of pretrial detention pending case 7438/2018. Although the case papers state that Sohaila Mahmoud and Khadiga Bahaa El-Deen only had a camera with no records or pictures on its memory, they are charges with joining a terrorist group, filming and recording without license from the Ministry of Culture, and possessing audiovisual material whose content disturb the public peace. 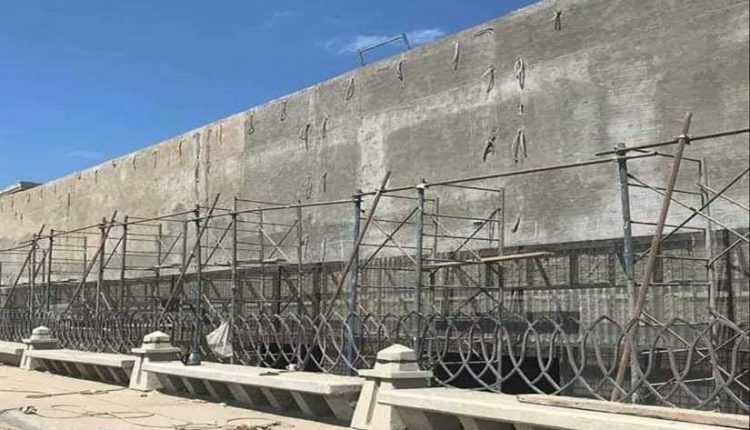 Alexandria Prosecution appealed on releasing the two Alexandrian students who were held for conducting a public survey on a concrete wall that was recently erected in Sidi Gaber area. It also scheduled Saturday to consider the appeal. Earlier today, Attarin Misdemeanor Court had ordered releasing the two students with an EGP 10,000 bail. The two girls have been remanded since September pending investigations in case 7438/2018. Alexandria Criminal Court rejected the appeal on the 45-day remand extension of Sohaila Mahmoud and Khadiga Bahaa El-Deen pending investigations in case 7438/2018. The two students were detained for conducting a public survey on a concrete wall that was recently erected in Sidi Gaber area. The wall blocked the sea view for locals who expressed their discontent on social media. Mahmoud and Bahaa El-Deen are accuse of joining a terrorist group, filming and recording without license from the Ministry of Culture, and possessing audiovisual material whose content disturb the public peace. However, the case papers state that the two are possessing a camera without records or pictures in its memory. Alexandria’s Attarin Prosecution extended the detention of Sohaila Mahmoud and Khadiga Bahaa El-Deen for 45 days pending investigations in case 7438/2018. The two students were detained for conducting a public survey on a concrete wall that was recently erected in Sidi Gaber area. The wall blocked the sea view for locals who expressed their discontent on social media. Alexandria’s Bab Sharq Prosecution extended the detention of Sohaila Mahmoud and Khadiga Bahaa El-Deen for 15 days pending investigations in case 7438/2018 Bab Shark.